How do I view comments in a course? 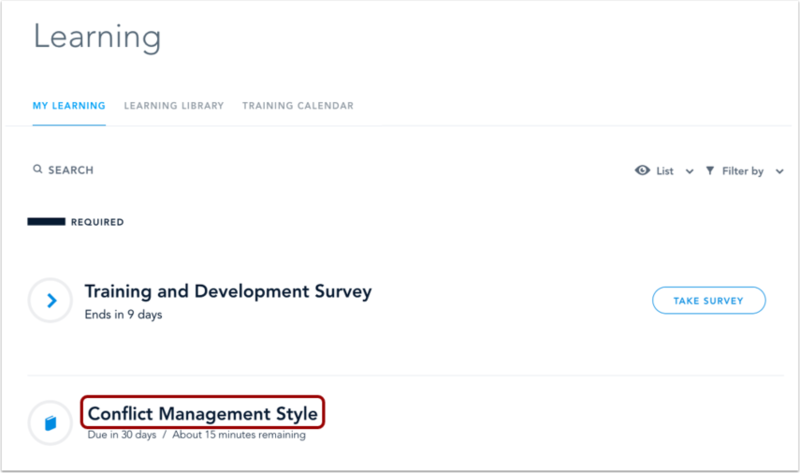 Comments in a course are slide-specific meaning that a course author must enable comments for individual slides in order to view and post comments. View your course in Bridge. If a slide has comments enabled, you may need to scroll down to the bottom of the slide to view comments. The indicator at the top of the course shows your course progress. Learn more about how to navigate an online course. Note: You can still view comments for completed courses. 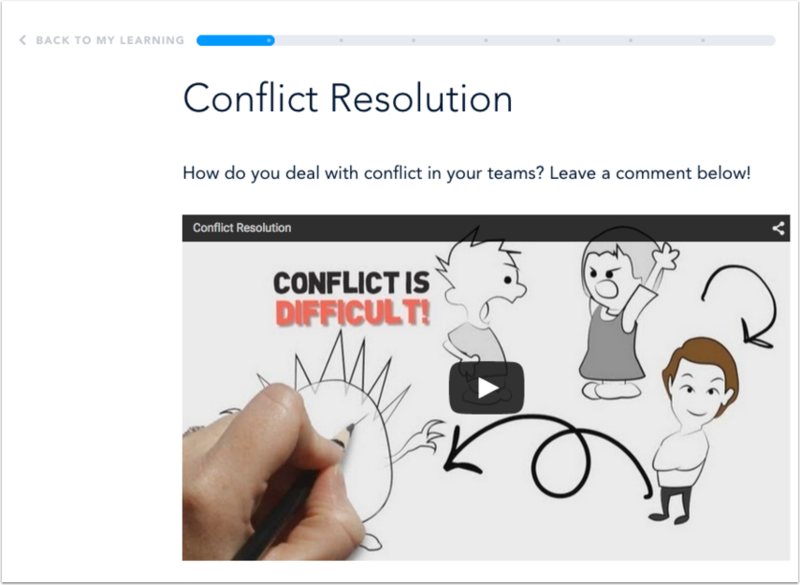 In the comments area, you are able to see all comments posted by learners in the course as well as the view the total number of comments on the slide . In the Sort by menu , you can sort comments by the best (comments with the most votes), newest, or oldest comments. To post a comment, click anywhere inside the comment field . To add an image to your comment, click the image icon . To upvote a comment, click the Upvote icon . Next to the upvote icon, you can view how many upvotes a comment has received . A upvote icon indicates you have upvoted that comment. 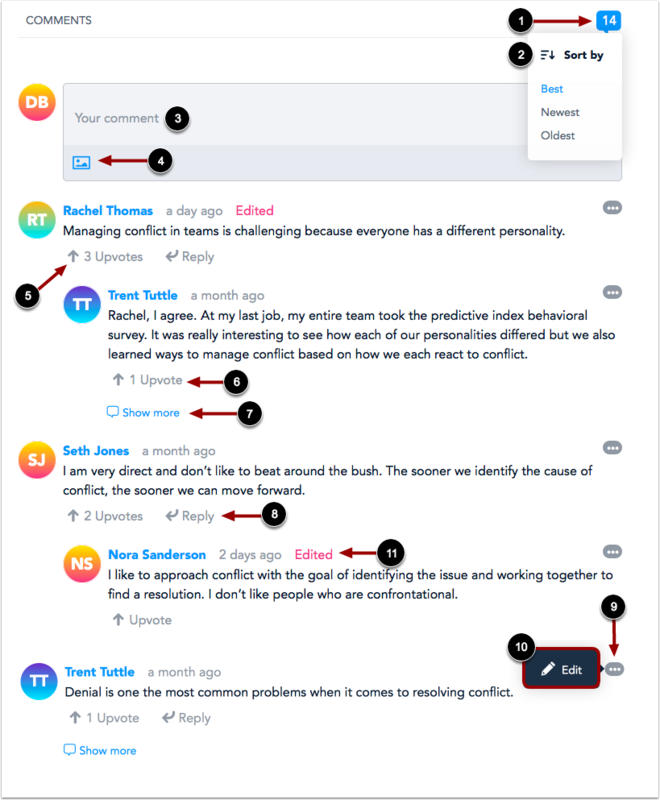 By default, Bridge will display the three newest comments. To show more, click the Show more link . To reply to a comment, click the Reply link . Your reply will appear below the comment. To edit one of your comments, click the Ellipses icon . Then click the Edit link . An "Edited" indicator will be shown next to any comments that have been edited . Note: Learners will receive an email notification for every reply that is made to their comment. Previous Topic:How do I navigate a Program? Next Topic:How do I post or reply to a comment in a course? Table of Contents > Learners > How do I view comments in a course? How do I post or reply to a comment in a course?